With two viable catchers heading into the 2019 season, the San Diego Padres have a decision to make. Do they keep Francisco Mejia and his hitting abilities or stay with Austin Hedges and his defensive skill? Or perhaps they keep both. There has been a lot of talk as to who is going to be the starter at catcher for the Padres. 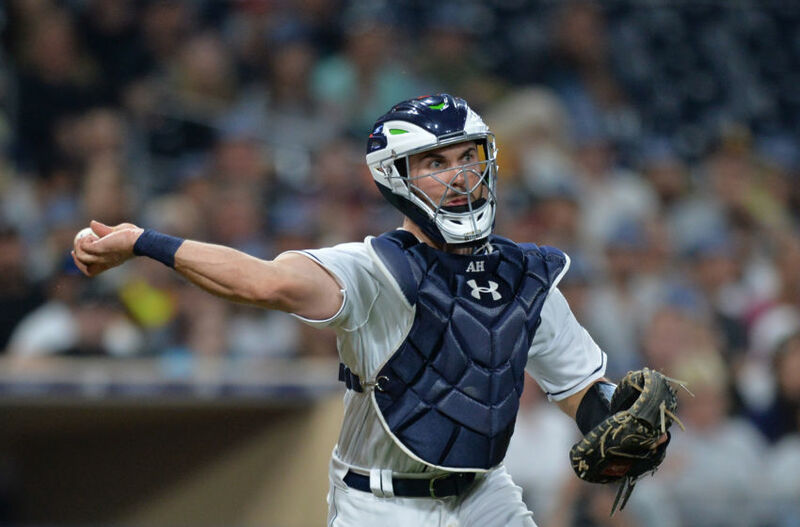 Will it be Austin Hedges, the former top prospect and defensive wizard, or Francisco Mejia, the new kid on the block who has just started his Padres career? A better question is; will they both remain in a Padres jersey by the end of the offseason? Both catchers have something to give to the Padres and each has a unique skill set they bring to the table. However, only one player can get the starting nod in 2019 and, if neither gets traded, the battle in spring training between the two will be great for both players. However, other teams are surely looking at the catchers and, knowing A.J. Preller, at least one of these players will be getting shipped off. The Padres are in a good spot at the moment because they have players at a position that many other teams need to upgrade. Teams like the Los Angeles Dodgers, the Washington Nationals, and the New York Mets are only a few that come to mind when thinking about available catchers. In fact, with the Padres seemingly intent on trading for Mets’ ace Noah Syndergaard, Hedges or Mejia would be an attractive piece for New York. Let’s look at what the two offer regarding the bat. While Hedges has more MLB experience with a career batting line of .210/.258/.378, teams may be more inclined to go with the switch-hitting Mejia due to his advanced bat-to-ball skills and firm barrel control leading to higher averages. Mejia has been advertised as a better hitter than Hedges, and a combined batting line of .298/.338/.471 between the Indians and Padres Triple-A systems give that some merit. Mejia also carries some sneaky pop, as evidenced by his two-home run game in Cincinnati. Hedges, however, possesses the same, if not better power, shown by his 14 home runs and an ISO of .198 in 2018. If it’s one thing that will drag both Hedges and Mejia down, it will be their strikeout rates. 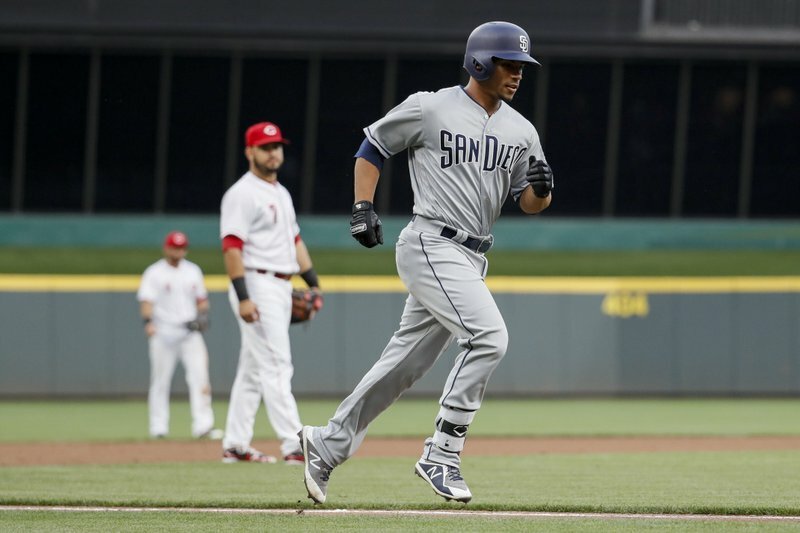 Mejia understandably struggled in his brief appearance in the majors, taking home a 30.6% K rate, although his numbers in the minors show a sign of hope, as he had a 17.3% K rate with the Indians’ Triple-A squad and an 18.9% K rate with the Padres’ Triple-A rate. Hedges, however, is well known for his high strikeout rates, with a 27.6% being an improvement his 2017 K rate of 29.3%. While Mejia may be a better hitter, it is widely regarded that Hedges is a superior fielder. He grades out as a plus defender and pitch framer while throwing out 22% of would-be base stealers over the season. This percentage can be attributed to the plus pop-time that Hedges has shown throughout his career. Mejia, on the other hand, has lagged behind with his glove as the Indians tried to put him at third base and the outfield instead of having him stick to being a catcher, which didn’t help his development at all. Mejia has an absolute cannon of an arm and has demonstrated it time and time again, but he will have to get better at his overall defending and framing to become truly elite. Of course, San Diego always has the option of keeping the two catchers. Catcher is arguably the most physically demanding position on the field and it is starting to become common for a team to field two and sometimes three catchers to keep them fresh throughout the season. A prime example is the Dodgers, as they swapped out Austin Barnes and Yasmani Grandal regularly in order to keep the two fresh. However, as long as Hedges and Mejia are on the active roster and the Padres aren’t competing, Preller will continue to field calls on them and, if San Diego wants a particular player, they will have to deal one of the two. Will it be the experienced defensive ace Austin Hedges, or the young dynamo with sky-high potential in Francisco Mejia? In this unpredictable game, only time will tell what happens. Jason, nice job with the article. I would like to see them start the season with both unless there is a trade opportunity that can’t be passed up and does not hinder the rebuild. The word “professional” is spelled incorrectly in your bio – fyi. Keep both, Hedges has shown his defensive skills and is trying to improve his offense. Mejia has pop, but as young as his MLB career hasn’t shown exactly how much defense he brings to the table. Plenty of scouts have said his defense isn’t as good . But a good combination between the two Hedgy and Mejia, KEEP THEM BOTH. Keep both. There’s a decent chance Mejia winds up being a kind of utility player: 40 games at C, and 100 games in RF. Meija sounds like the more coveted trade piece by other organizations? If he is dealt to secure us an upgrade at 3B or a SP then Preller should pull the trigger. Hedges is as good as they get defensively, can really frame for our young pitchers coming up and has 20 HR pop. Not bad for our #8 hitter.